According to Kevin Harvey, the key to 2014 and 2013 is that while both vintages, were warmer than historical averages, temperatures cooled down during August and September to the point that conditions were not excessively hot during harvest, which is, of course, the most critical time of the year. That said, yields in 2014 were the lowest of the three drought vintages of 2012-2014, with a bit more overall stress in the vineyards given the length of the cycle. The conditions resulted in a set of powerful, intense wines. Harvey adds that acids were generally higher than 2013, but not as high as 2012. The 2014 Chardonnay (Anderson Valley) is a tasty, entry-level Chardonnay from Rhys. Orange blossom, mint, honey and lightly tropical notes inform the open-knit finish. Although not especially complex, the 2014 is delicious. Drink it over the next few years. 88. Candied lemon, orange peel, yellow orchard fruit, smoke, butter and pineapple are some of the signatures in the 2014 Chardonnay Bearwallow Vineyard. I especially like the way the 2014 picks up freshness and aromatic lift with time in the glass. The long, silky finish only adds to the wine’s considerable appeal. 91. The 2014 Chardonnay Alpine Vineyard is the hardest of these four Chardonnays to read today. The aromatics are striking, but the wine has much less to say today on the palate. Powerful and tropically-leaning, the 2014 needs time to come into its own. 92. A rich, voluptuous wine, the 2014 Chardonnay Horseshoe Vineyard is also the most overt of the Rhys Chardonnays. Orange jam, apricot marmalade, tropical fruit, wild flowers and buttery notes give the Horseshoe much of its exotic, viscous personality. The Horseshoe is another wine that demands at least a few years in the cellar. 92+. The 2014 Pinot Noir (Anderson Valley) is a new wine from Rhys made from 100% estate fruit from Bearwallow. A preference for fully destemmed fruit gives the 2014 lovely up-front intensity and more early appeal than most of the Rhys Pinots, which is a big plus for consumers. With time in the glass, the wine gains in fleshiness and succulence. 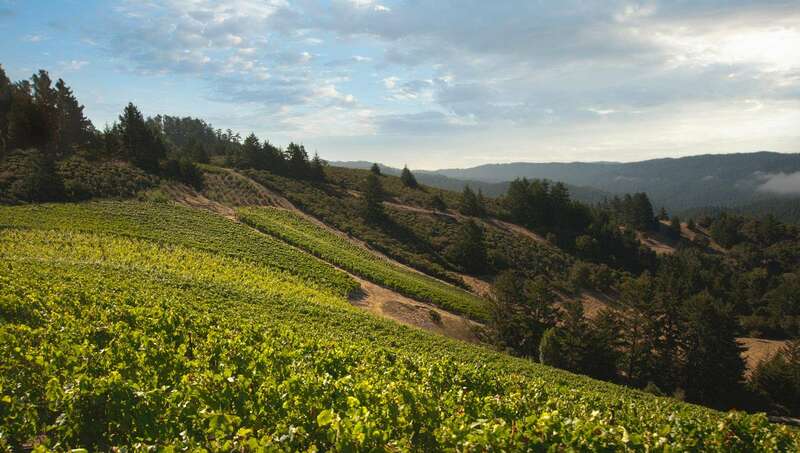 Think of the Anderson Valley Pinot like a village-level wine from a top Burgundy domaine. It is the hidden gem in the Rhys lineup. 91. The 2014 Pinot Noir Bearwallow Vineyard is a huge wine. Dark, powerful and intense. The low yields of the vintage are felt in the wine’s massive fruit and pure heft. Dark red cherry, plum, smoke and licorice abound in a towering, somewhat burly wine that is going to need quite a bit of time to come around. Today, the Bearwallow is blowsy. It will be interesting to see if the Bearwallow finds a little more finesse in bottle. 92+. The 2014 Pinot Noir Bearwallow Vineyard Porcupine Hill is quite a bit brighter and fresher than the straight Bearwallow. Here the flavors are nicely sculpted throughout. 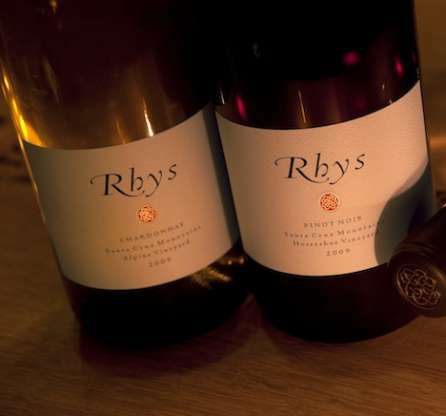 Freshly cut flowers, white pepper and cranberry are some of the signatures in this attractive, focused Pinot Noir from Rhys. Underlying beams of salinity extend the finish nicely. 94. The 2014 Pinot Noir Home Vineyard is one of the most polished, refined wines of the year at Rhys. Sweet floral notes and the 100% whole clusters give the 2014 its aromatic presence, salinity and overall nuance. Sweet red cherry, blood orange and white pepper add life through the mid palate and into the finish. Although the 2014 will be even better with bottle age, its grace and pure refinement are very much evident today. Although young, the 2014 has room to grow. 95+. A striking, expressive wine, the 2014 Pinot Noir Family Farm Vineyard wraps around the palate with serious intensity. The effect of the drought comes through in the wine’s sheer weight and textural breadth. The 40% whole clusters are nearly buried by the sheer intensity of the fruit. Black cherry, mocha, plum, graphite, sage and menthol give the 2014 much of its virile, imposing personality. The clay-rich soils here contribute to the wine’s ample, creamy feel. Kevin Harvey adds that this site has been dry farmed for nine years. 93. A huge, tannic wine, the 2014 Pinot Noir Skyline Vineyard is at least several years from delivering true pleasure. Sweet floral notes add aromatic presence, but the 2014 remains a tightly wound ball of energy. White pepper, cherry jam and chalk meld into the deep, searing finish marked by Nebbiolo-like tannin. 94+. The 2014 Pinot Noir Alpine Vineyard bristles with energy. Rose petal, mint, white pepper and blood orange give the Alpine its super-appealing aromatic upper register, but there is plenty of depth lurking beneath. Here the flavors are bright and nicely focused, while the richness of the vintage is mostly felt in the dense, potent finish. 95. The 2014 Pinot Noir Swan Terrace brings together the richness of the vintage with good aromatic complexity and nuance. The flavors are bold and intense throughout, with plenty of supporting structure to match. Dark red cherry, menthol, dark spices and leather fill out the wine’s ample frame nicely. The 2014 is another wine in the range that is going to require considerable time to come together. This is a decidedly dark and intense Pinot. The 100% whole clusters are nearly buried by the intensity of the fruit. The Swan Terrace is a decidedly dark, brooding wine that shows the more virile side of Pinot. 93. The 2014 Pinot Noir Horseshoe Vineyard is one of the most subtle wines in the lineup. Black cherry, plum, mint, hard candy and sweet spices, along with ripe, silky tannins, give the wine its sense of creaminess and textural finesse. Super-expressive aromatics and layered, plush fruit add to the wine’s considerable appeal. 95. Sadly, the Syrah Skyline Vineyard has run its course, as 2013 is the last vintage. Inky blue and purplish stone fruits, spice, licorice and mint are all nicely pushed forward. The 2013 needs time to develop its aromatics. Today, the Skyline is mostly about fruit. Silky and pliant, the 2013 needs time to be at its very best, even if it drinks well young. This is an especially understated, polished Syrah from Rhys. 93. One of the highlights in this range, the 2013 Syrah Horseshoe Vineyard is superb. A host of cool-climate Syrah aromatics make a strong first impression. Black pepper, game, smoke, tobacco, licorice, black olives, lavender and spices are all beautifully delineated in the glass. The expression of fruit is pure California in its radiance and overall depth. Complete and impeccably balanced, the 2013 Horseshoe Syrah has it all. 95. The 2015 Pinot Noir Bearwallow Vineyard is round, succulent and highly expressive. Radiant, deep and silky, the 2015 gives the impression it will drink well with minimal cellaring. Of course, the Rhys wines have a tendency to shut down considerably in bottle, but there is no denying the 2015 is terrific today. The edges still need a bit of polish, but the 2015 is super-intriguing to say the least. (91-94). The 2015 Syrah Horseshoe Vineyard is a real head-turner. The interplay of richness from the low yields of the vintage along with the characteristic cool-climate aromatics results in a compelling Syrah endowed with real personality and class. Readers who have an opportunity to pick up the 2015 should do so, as it is fabulous. (93-96).